NXPowerlite is a great app that TLC Creative Services has made use of for several years. The current version, Desktop 8, was the biggest release for new features. I was happily asked to contribute input and ideas as the Neuxpower team was busy strategizing the big release. 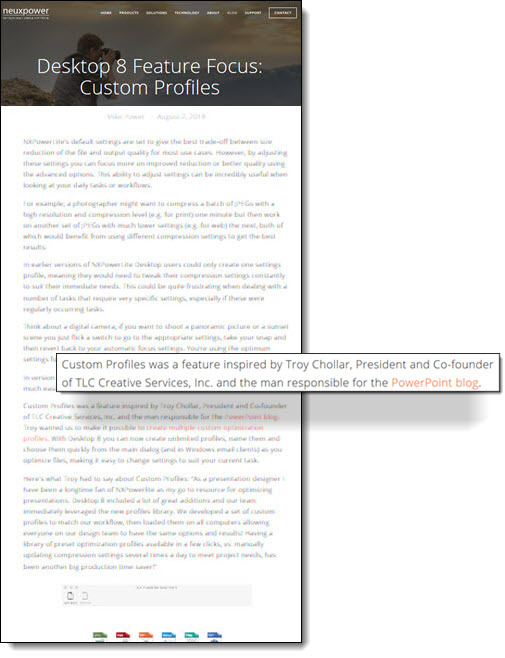 On a recent Neuxpower blog they talked about the Custom Profiles and to my surprise, I was a part of the blog!